One of our youngest volunteers (my grandchild) and my daughter and her husband took a special donation received from PetSmart and the Las Cruces, New Mexico community to the local hospital. 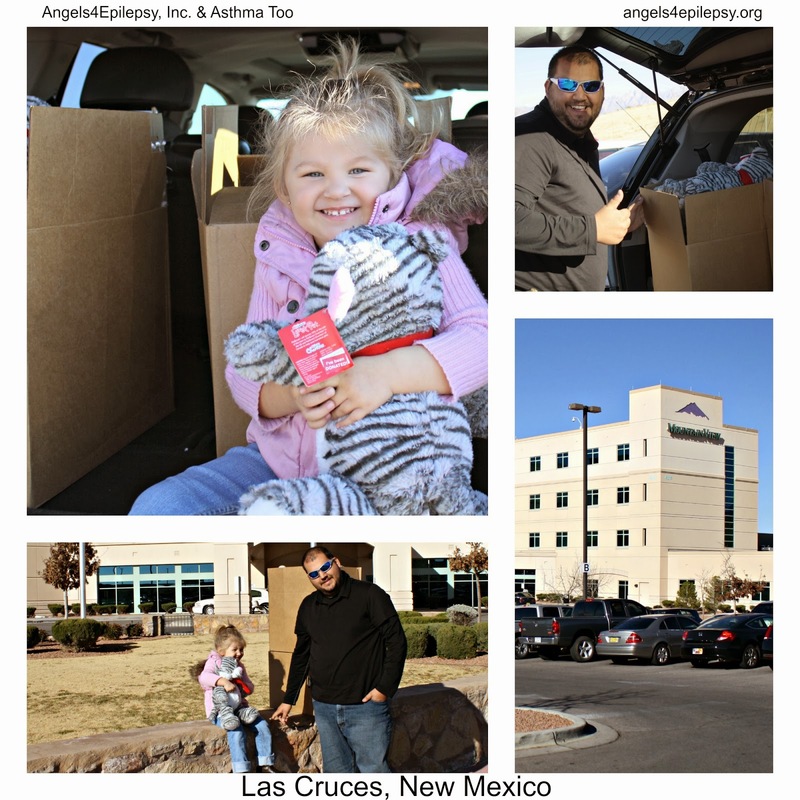 Las Cruces does not have a children's hospital so we made the delivery to one of their main hospitals. Both my daughter and her husband love these deliveries and always asks to do more after they finish with one. They were able to speak to a lady raising funds by making earrings to help her step son who was a victim of a crime and required brain surgery. The delivery was very heartwarming to them and we plan on providing more all this month to the surrounding area as well as Indiana thanks to our volunteer, Stacey Burns, there. To date, we have delivered to hospitals and Ronald McDonald Houses to the following states: Georgia, Florida, Indiana, Ohio, Texas and New Mexico.